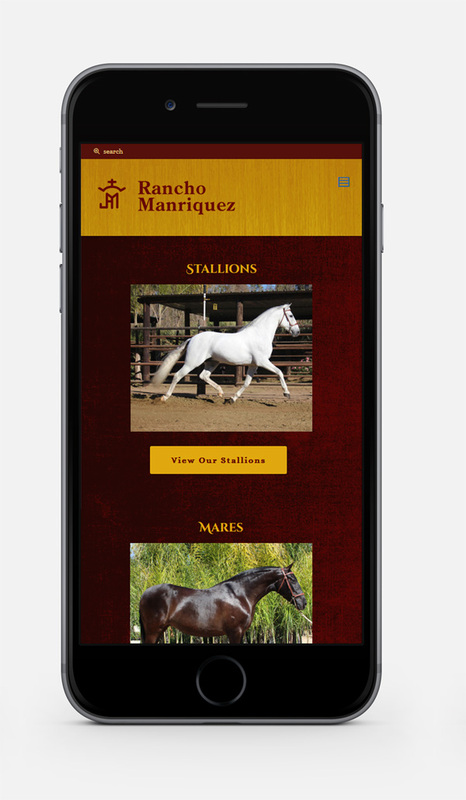 Rancho Manriquez is a horse ranch where they breed and raise Andalusian horses. Starting as a hobby, owner and operator grew to the point that it became a business. 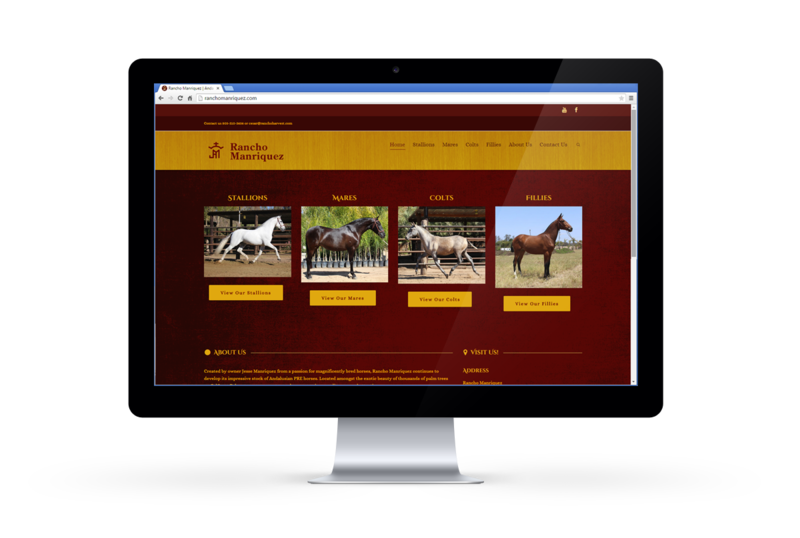 Their website is built in WordPress to make it easy to maintain. 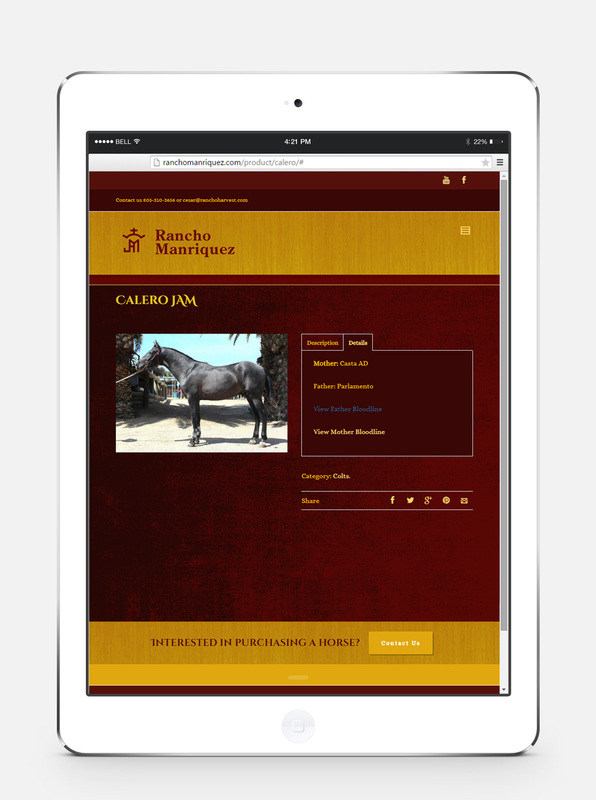 They needed an easy way to add new horses they wanted to feature and provide bloodlines and other important information on their horses. We implemented an ecommerce solution, minus the payment gateway, to make this easy to accomplish in the back-end. 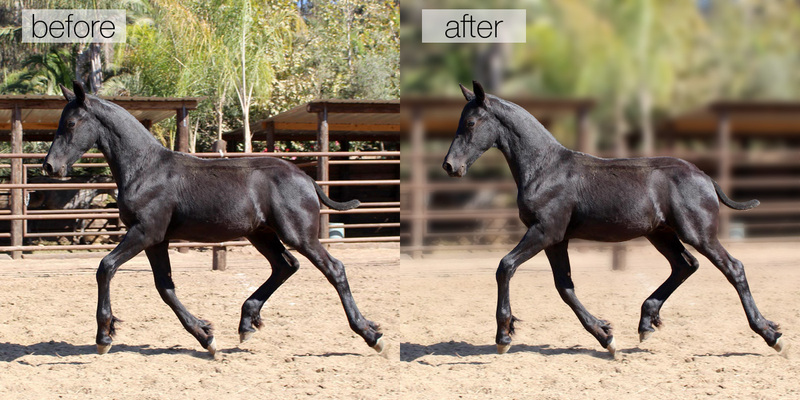 While they had stunning photos of their horses, there was still a lot of work to be done to make them ready to show. 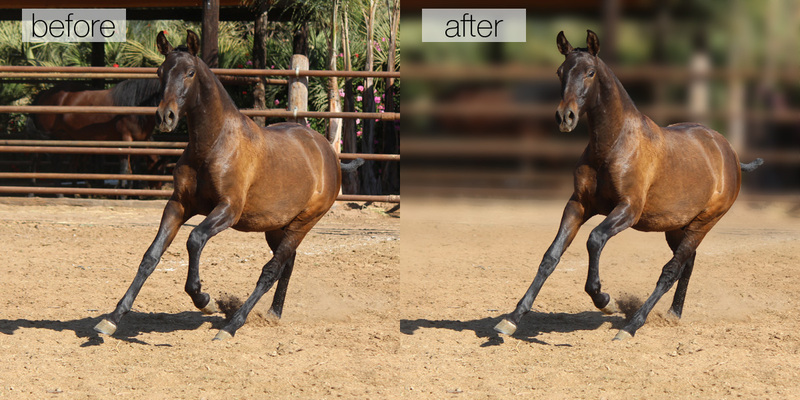 We chose the top ten photos and transformed them to show depth-of-field, which helps to draw the eye to the subject.